I wanted to let you know that I think you have a fabulous Plug-in. Very helpful. However, I am having a problem with running SU16 and your Plug-in. The first time I used it in SU16 no problems on my Wintel 7 Pro. When I desired to start up SU16 the next time, I got a bug splat during initiation and loading. Tried opening without associating with my new SU16 model and without, same bug splat. Changed name of *.rbz file. Was able to open SU16. Then disabled Plug-in through Preferences dialog box. Please advise what additional details you might desire, so hopefully we can identify the problem. I ran into a small problem. 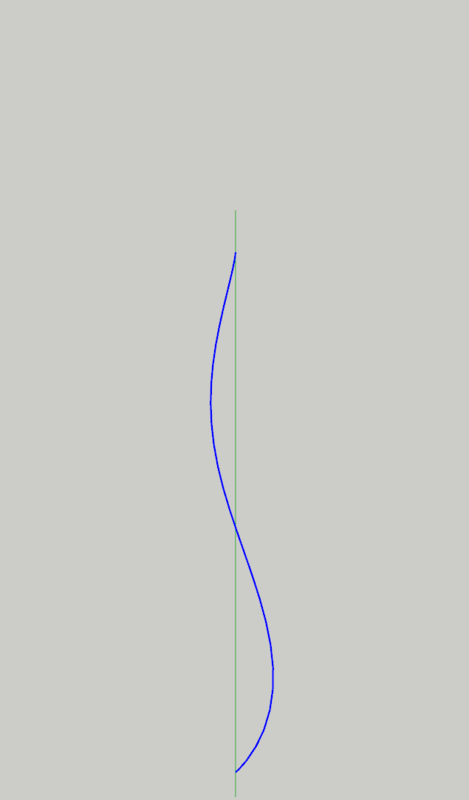 I have drawn some BezierSpline Curves - Polylines, onto a flat plane. Wanting to make a 3d terrain out of them I grouped the original curves, made a copy and then tried to explode one group to edit the Z for each line. Exploding a group containing the polylines also explodes the memory SketchUp uses (V16 win7 X64) and eventually leaves SketchUp non responsive and I need to kill the process. I could of course never group the lines but for file management reasons I prefer to do so. See pic and attached file if you would like to try. Where can I find this extension? Can I use it just with Sketchup 2016? Gettes wrote: Where can I find this extension? Can I use it just with Sketchup 2016? Read the first post in this thread. It is clearly spelled out there with links. Have you actually read the first post in this thread ? Or perhaps more sensibly, have you looked in the SketchUcation PluginStore for its RBZ ? Love this tool but is there a way to make a shortcut key for "BZ - Convert to / Polyline" etc? CoreMaster110 wrote: Love this tool but is there a way to make a shortcut key for "BZ - Convert to / Polyline" etc? I guess you refer to the menu entries in the contextual menu. I thought it was possible to assign shortcuts to them. If not, this is not a big job to make them as regular menu static entries. Yes, in the contextual menu. Shortcuts can only be assigned in the "Preferences/Shortcuts"? There are options to assign shortcuts to draw polylines etc but did not see any options for converting. It would be really nice if shortcuts could be added to the contextual menu options aswell. Did you have a curve selected while searching for the item in the list? Since it is a Context menu item, you need to select an entity that would make it show up there. Dave R wrote: Did you have a curve selected while searching for the item in the list? Since it is a Context menu item, you need to select an entity that would make it show up there. Oh, that's how it works. Did not know. Thank you! CoreMaster110 wrote: Oh, that's how it works. Did not know. Thank you! That's how it works - for anything that would show in the Context menu. I love BezierSpline - thanks! 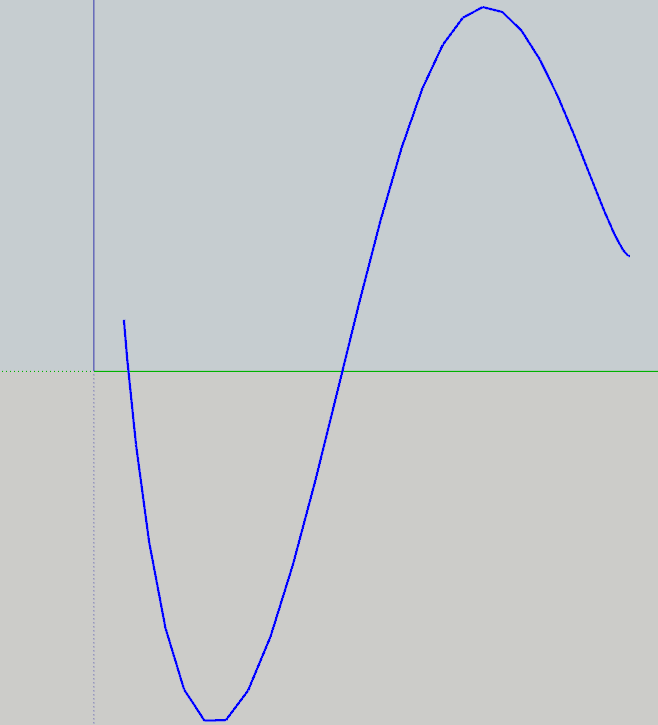 - but is there any plugin that can make a "C" curve out of a vertical "A" and a horisontal "B"(see attached pic)? Tried it, but since I wanted to create the "C" curve, I tried w/o it, which didn't give the desired result. What I want is to NOT have to create two groups/components, and run th command "Intersect faces" to create a 3rd "C" contour. Hi! Is there any chance to override the maximum segments (300s) for each bezier curve made? surfmike wrote: Hi! Is there any chance to override the maximum segments (300s) for each bezier curve made? I am not sure that curves should have too many segments , as a general statement. But, I will increase it to 600 in a next release. In the meantime, you can edit the file bezierspline_main.rb, line #62 and set the value you wish. Great! I'm doing some experiments with SU and 3D printing, that's why. I agree that many segments slows down at least the next phase with Curviloft. Maybe have a warning at a specific amount of segments with "don't show this message again" option. Select the 300s curve, right-click/Explode, right-click/Convert to Catmull spline = 1800s. What will the difference be between the 2 options? surfmike wrote: What will the difference be between the 2 options? That's not the same curve, but visually, with hundreds of points, they may look the same! In BezierSpline, you have several tools to have the curve go thorugh the control points: Cubic BSpline, Catmull, FSpline. I tried these tools but I feel that not what I needed. The begin and the end of the curves look too flat. F Spline is better but still flat. The curve which generated by the B Spline through points look smoother, but that plugin is hard to use and lack of editing tools. So I hope you can add that to yours. trngngntn wrote: and lack of editing tools. Fredo doesn't need to add editing tools to this extension. You can already edit the curves created with it. No, I mean that I hope he can add that type of curve to his plugin !! I have some trouble when editing the curves. But when I back to Side view, the curve changed a lot !! So, how can I move the control points along a specified axis (X, Y, Z)?